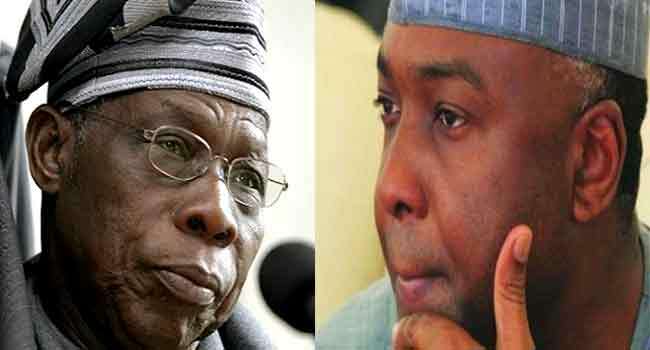 Former President Olusegun Obasanjo and the Senate President, Dr Bukola Saraki, on Monday met behind closed doors in Ogun State. The meeting, which lasted for more than an hour, was held at the residence of the former president in Abeokuta, the state capital. After the meeting, the Senate President told reporters that the visit was a private one and to fulfil a promise he made to the former president. “I missed the opening (of the Olusegun Obasanjo Presidential Library) the last time, and I promised Baba that I must come and see the library. It’s beautiful, it’s fantastic; we are proud of what he’s been able to do here, it’s very good to see it,” he said. The Senate President, however, declined to give details about his discussion with the former President.